When I look back to 10 years ago, I can’t believe the crazy things I did traveling across Europe whether on my own or with friends, taking advantage of living in a region that has very good train infrastructure. I don’t think I’ll ever be able to do those crazy stunts again with the confidence of a bright-eyed girl eager to see the world unafraid of the unknown, sharing coaches with strangers, staying with backpackers in guest houses, getting drunk with strangers… I’m amazed I came out in one sane piece. It was just one crazy adventure. Now, traveling as a fangirl is on a different level of crazy. But it’s still amazing how we can combine fangirling and traveling. It does not just allow us to spazz but it also allows us to see other places and learn about other cultures. 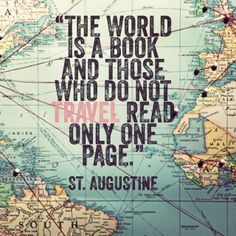 Adventure and education in another form. One of my favorite countries is obviously Japan. It is a happy place for many of us simply because five dorks who make our life happier live there. Imagine just seeing Arashi on billboards or posters across any Japanese city will make us smile already. Heck, even just something related to 嵐 is enough reason to take out the camera and snap a photo. And that’s what exactly happened when friends and I met in Nagoya and Kyoto to fulfill our fangirling duties. I can’t read kanji to save my life and I still need a guide to read katakana but this kanji, I could spot from miles away. You learn to spot ads, though I wasn’t as lucky in Nagoya because most of the time I was in the subway and not out on the main streets. An Arashi fan told me that I should look up at buildings because the ads are sometimes up there, just like my friends saw a giant LED ad of Nino in Osaka. So these are all I spotted (and I forgot to take a photo of Sho’s Aflac standee in Aeon next to Nagoya Dome). I was so happy when I saw an Arashi Kirin ad literally facing CNBLUE’s Korean food ad on the train. When fandoms collide indeed. Then of course, fangirling also influences where or what you eat… or drink. 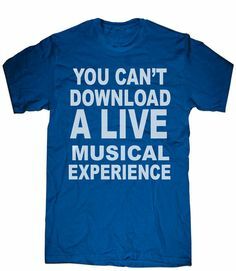 Or what you shop for or look for when you go to music or bookstores. And when you buy omiyage, you go for those they endorse as a way of support. What’s interesting is the economic buzz that Arashi creates whenever they bring their concert tour to a city. This was at the Nagoya Station, where Arashi was “welcomed” at the omiyage shop though it’s more like “welcome Arashi fans, your money welcome too”. And this one really amused me. 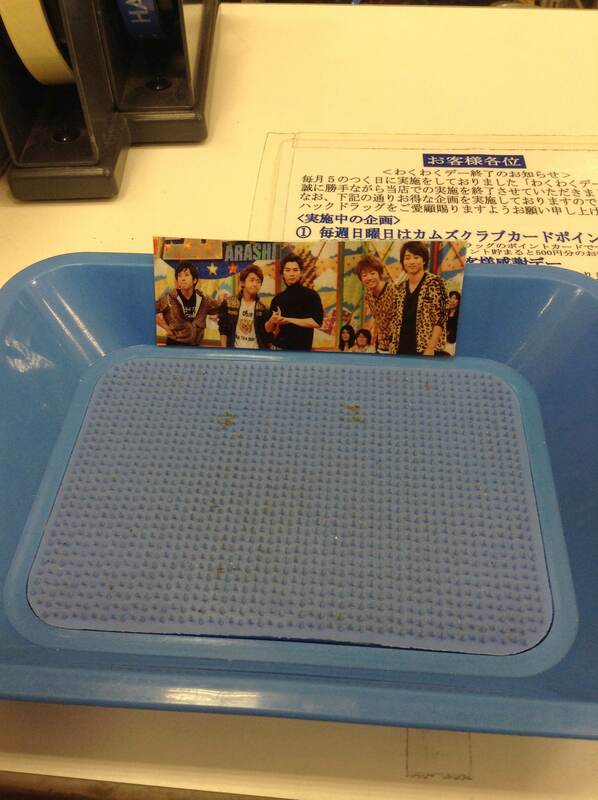 Their photo on the cash tray of a shop as if saying, Arashi money accepted here LOL. This year, my buzzword might as well be “fangirl”. I fangirled as I never did before, traveling to places just to watch concerts. I thank CNBLUE for that because fangirling them was the trigger to finally doing something as an Arashi fangirl. So 2014, thank you for a year of fangirl travels. I’ve travelled a plenty in my days, even went to Australia for a month all by me lonesome and I wasn’t even all that young then. 🙂 I used to work in travel so I had plenty of opportunities and access to trade priced tickets. Those were the days. I’ve never travelled across the globe just to see a group I like though. Never been quite that dedicated a fan. I would have shelled out money to go see CNB when they were in London but alas, I was in the other side of Atlantic at that time. The story of my life, ha. Anyway, those travels were really precious memories. I also achieved few things that are actually unrelated to fangirling because of those travels. About those Arashi signs, that’s true that some billboards on top of some buildings had Arashi (and other JE groups) faces on it. They are everywhere! I found HSJ poster in Hibiya station! XD And is Arashi endorsing lawson? I kept seeing them in the cashier monitor display. I thought I did so much fangirling when I was in Korea because honestly I got interested in South Korea by those Hallyu stars. As for Japan, I have been in love with the country even before I knew Japanese music and doramas. Yet, I felt like I was playing quiz to spot artists everywhere I went in Japan. LOL. happy new year to you too and thank you for reading!!! I heard the Daegu leg was one of the best in the Can’t Stop tour? So happy for you. Did you brought lots of stuff? When (not if) I visit Japan in the (hopefully) near future. I have to make sure to reserve enough space in my luggage for Arashi stuff (CD, DVD, poster, Pictures, magazines, etc). It is much cheaper to buy them in Japan than online (for German residence).